Detailing Services by Precision Autos of Berlin, NJ, providing clean and reliable used cars trucks, and SUVs for every budget. Gravel, mud, bird droppings, snow, salt, and rainwater caked on your car’s paint and body can affect the condition of your car’s exterior. Automotive detailing is not just a wash and wax job, but a thorough cleaning of the inner and outer surfaces of your vehicle. 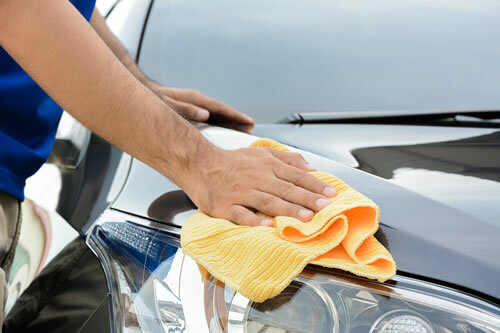 Our car detailing services for customers in Berlin, NJ, Atlantic City, NJ, Cherry Hill, NJ, and surrounding areas are guaranteed to take miles off the appearance of your vehicle. Car detailing can help preserve the resale value of your vehicle by adding a protective layer to the inner and outer surfaces to help condition these surfaces against minor damage. Increase your vehicle’s life today by choosing Precision Autos Inc. for car detailing. A simple way to cope with the threat that nature poses on your car’s exterior is to indulge in the professional quality of our full-service detailing service. Our professional detailing services take the hassle out of washing your car by placing the responsibility in our capable hands. Let us offer your car the benefit of our detailing services. Stop in for a full vehicle cleaning today.